Scenic Tours has extended special offers on their range of USA tours, including savings of up to £1,000 per couple and free upgrades. (TRAVPR.COM) UK - December 8th, 2013 - Christmas is a time for giving, and Scenic Tours is giving those who have yet to book one of their amazing tours of the USA another chance to treat themselves. They have now extended the special offers on their range of tours until 3rd January, including free hotel upgrades on their hugely popular Ultimate USA tour. Those who book a USA tour with Scenic Tours before 3rd January will be treated to savings of £1,000 per couple and will be able to look forward to a fully-inclusive journey across some of the most amazing parts of America in 2014 or 2015. 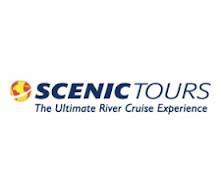 As well as offering the chance to make a substantial saving, Scenic Tours has extended their offer of free hotel upgrades on the Ultimate USA tour. Although great rooms in handpicked hotels across the USA will be enjoyed by all guests as standard, those who book before 3rd January have the opportunity to save up to £458 per couple on room upgrades at the Mirage Hotel in Las Vegas, the Fairmont San Francisco and the Monterey Plaza Hotel & Spa in Monterey Bay. These are subject to availability and hotel upgrades on some dates have already sold out, so book soon to avoid disappointment. There is still time to get fantastic value for money on a tour of America with Scenic Tours; speak to one of their travel advisors on 0808 115 3049 to book today or order a USA tours brochure.